Computers have become an essential part of our daily lives. We use them for everything from work and paying bills, to browsing the internet and streaming media. Despite our best efforts to protect our computers, there are times when we experience a computer virus. For some, this can be a devastating ordeal where the computer hard drive and all of its files have been completely destroyed. In addition to installing top-notch antivirus protection, early recognition of computer virus symptoms can be the key to saving your computer from total destruction and to prevent hackers from stealing all of your personal information. Malware can slow down a computer’s operating system, internet speed and the speed of applications or software. For example, if you are trying to browse through your My Documents folder and it is taking significantly longer than usual, it might be due to a virus. Before you jump to the conclusion that it is a virus, check to see if your computer is running slow because of a program using up most of the resources, or issues with RAM. Typically, we are familiar with how long it normally takes for our computers to start up. A classic sign that your computer may be infected is if the Startup process takes a lot longer than usual. In some cases, an infected computer may not start up or finish the startup process at all. When computers start crashing out of the blue, there is a good chance that it has been infected. Although there may be other reasons, such as outdated drivers or conflicting software, crashing tends to signal serious malware problems. There is nothing like a cyber shower of pop-up ads to signal that your computer has been infected. It’s quite possibly the most annoying sign of them all. Typically, these pop-up ads are dancing all over your screen even before you load your internet browser. Additionally, pop-ups can mask multiple malware problems. Not as prominent as other signs, but this one definitely signals that there is a problem. Files do not simply go missing. It is either a user or a virus that deletes them. If you notice that program icons, documents, or folders are missing, and nobody has deleted them, then there is cause for concern. It is quite shocking when you click on My Computer to access one of your drives only to see that the desired drive is no longer there. This is a marked sign that your computer is under attack. Additionally, viruses can also prevent users from accessing their CD-ROM, USB ports and other installed devices such as printers. If you start seeing unexpected error messages, then there is some cause for concern. A computer does not display error messages without a reason. It is possible that the error messages are due to technical issues. But, more than likely, these unexpected error messages are due to malware infections. Typically, viruses will display error messages directing you to missing files, which are almost always corrupted files. Viruses can also trigger error messages which direct you to installing a program to fix these fake errors. Most internet users have their favorite browser set as their home page. If one day that home page has changed to some other site, it might be due to an infection. Typically, the malware wants to direct you to their web site of choice for further intrusion and destruction. Just like with the home page, if you suddenly see different toolbars on your web browser, there is a good chance that your computer has been infected. Toolbars cannot simply appear without a user installing them or adding them, unless it is a virus. Ctrl + Alt + Del is one of the most universally known shortcuts on a computer. This shortcut can open up the Task Manager for users to see all of the processes and programs running, or to restart and shutdown the computer. If you hit this shortcut and nothing happens, or an error message pops up, there is a good chance that a virus has attacked your computer. 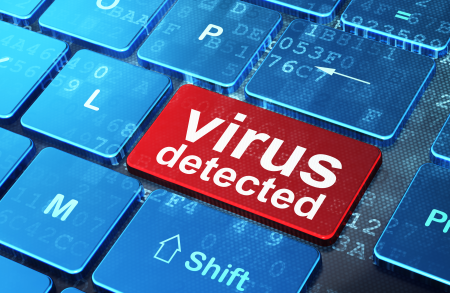 In addition to pop-ups, toolbars and new home pages, a virus can forcefully redirect users to different web pages. For example, if you are scrolling your favorite tech news site and all of a sudden you are being sent to adult sites, it is most likely due to a malware infection. 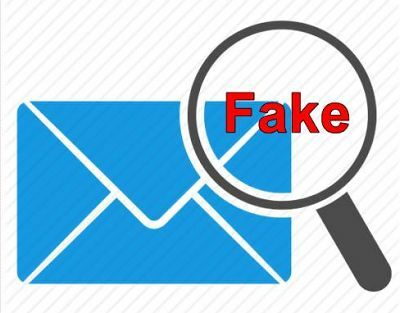 If your friends and family are complaining of receiving spam emails from you, then it is most likely due to a virus hijacking your email account. Typically, you will not even know that your email has been hijacked unless someone notifies you. Avoid opening emails or attachments from people you do not know. Don’t click on pop-up ads that are suspicious. Avoid going to unsecured websites. Don’t download files from unknown websites. Run regular scans on your computer. So, do you think you’ve had a computer virus before? Author Bio: With over 30 years in the IT industry, Peter Pane has helped many people overcome their IT problems by providing effective problem solving solutions. Peter is an IT consultant who initially started out as a computer programmer within the finance industry maintaining and developing large applications. Across his time working in these industries, Peter began to devise new ways to get better results for his customers. This lead him to become fully qualified in IT Service Management. He currently holds an ITIL Expert (V3) qualification. Today Peter is the owner of a https://jimscomputerservices.com.au franchise in Drouin. He works with small to medium businesses so they can get the most out of their technology, what they want to achieve, and what they own in today’s world. His aim is to help all businesses gain value from all technologies that are available to them for maximum results.